Ngozi Ohuoba earned a master’s degree in nursing from Duke University in Durham, North Carolina. 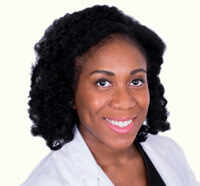 She also holds a bachelor’s degree in nursing from Virginia Commonwealth University and a bachelor’s degree in health education and promotion from East Carolina University. She joined Dermatology Specialists of Georgia in 2017. Ngozi focuses on providing compassionate care to all patients with dermatologic concerns, problems and diseases, throughout their treatment. In her spare time Ngozi enjoys spending time with her family, painting, reading, and dancing. Ngozi is a member of the American Academy of Nurse Practitioners and the National Academy of Dermatology Nurse Practitioners.